Our mission is to empower underprivileged children in under-served communities by providing access to quality education; and to instill in them confidence and self-esteem to achieve better, brighter futures. Therefore we need donation and support for this initiative to help underprivileged children rural communities. education so that they may grow up and to be becomes knowledgeable and active participants in the society because through education the vicious cycle of poverty can be broken. Through education children will acquire skills to become more productive members in the society. 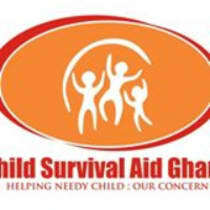 Therefore we need donation and support for this initiative to help underprivileged children rural communities.